for the Provincial Constituency of Saanich South, Victoria, B.C. Elected as a Member of the British Columbia Legislative Assembly for the Constituency of Saanich South on May 12, 2009. New Democratic Opposition Critic for the Ministry of Agriculture and Lands. Raised on Quadra Island and has an undergraduate degree from the University of British Columbia. Extensive track record as a community leader, advocate and environmental activist. Celebrating at the Topaz Temple with MLA Rob Fleming and newly elected Mayor of Victoria Dean Fortin. Click here to visit a page where you quickly find out the answer to this question. SAANICH – Lana Popham, local business owner and community activist, was nominated on March 8th in Saanich South as the New Democrat candidate for the May 12 provincial election. “I’ve spent my whole life speaking up, speaking out and speaking for things I believe in,” Popham told over 100 supporters today. Popham said she is looking forward to holding Gordon Campbell and the B.C. Liberals to account by running in the May election with Carole James and the New Democrats. Popham owns and operates The Barking Dog Vineyard - a successful Saanich small business and the first Certified Organic Vineyard on Vancouver Island – and is currently chair of the Certification Committee for Island Organic Producers Association and past President of the Vancouver Island Grape Growers Association. 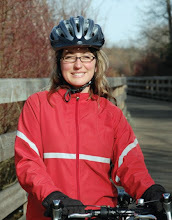 She’s a member of Saanich’s Planning Transportation & Economic Development Committee and is an active parent at her son’s school. Popham’s “Think Outside the Bag” campaign has been a very successful on the ground environmental initiative that encourages people to switch to reusable bags. With the support of her husband Jon, a firefighter for Oak Bay, and their 10 year old son, Popham is already campaigning to win a seat in the Legislature on May 12. I listened to the discussion on the radio about plastic bags this morning. Seven years ago, when I immigrated to Canada from Germany I could hardly believe my eyes when I saw how plastic bags are used here. Back in Germany we’ve charge for them for years and it is normal to use baskets and cotton bags. Also, most stores have a corner where they pile up the boxes they receive the goods in and people are free to use them. Plastic bags are completely out and you almost feel bad if you have to buy one. We are so behind here and it is truly just a question of habit, not convenience. I am glad there are signs that things will become more environmentally friendly over here. I wholeheartedly support your campaign to ban disposable plastic bags and wonder, since they have caused such harm to so much of our environment and promise to do so way into the future, why they were presented for general use and why were we allowed ... encouraged? ... to use them in the first place. Someone must have known! I live in View Royal where concern has prompted the town's use of bio-degradable dog litter bags and now also, more recently, some action toward using bio-degradable plastic garbage bags. Are they really bio-degradable and part of a solution? Is recycling of soft plastic available in the CRD? Presumably, not. Do you know why? What really has been happening to the grocery bags that we have been returning in good faith to the grocery stores?